This topic has 1 voice, contains 0 replies, and was last updated by ron 250 days ago. 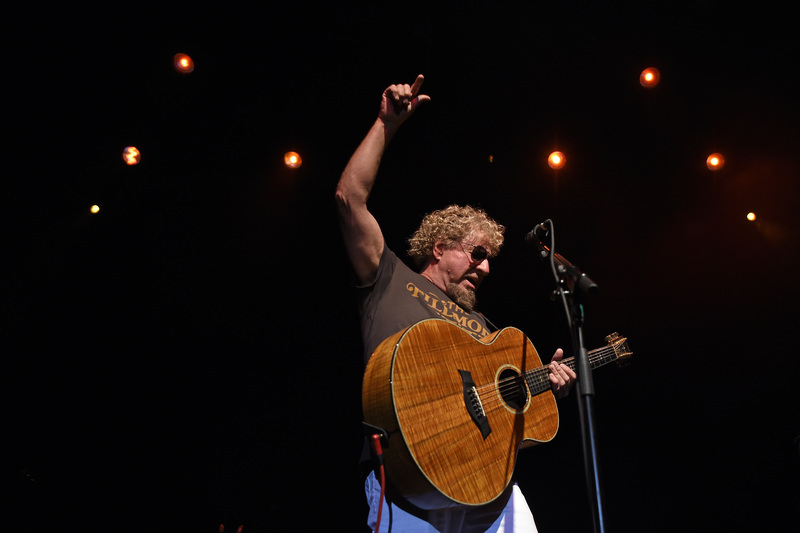 Sammy Hagar is energy incarnate. That’s the only way to properly explain all that this Salinas native has been able to accomplish in his 70 years. He’d then join one of the biggest bands on the planet — Van Halen — replacing original vocalist David Lee Roth. 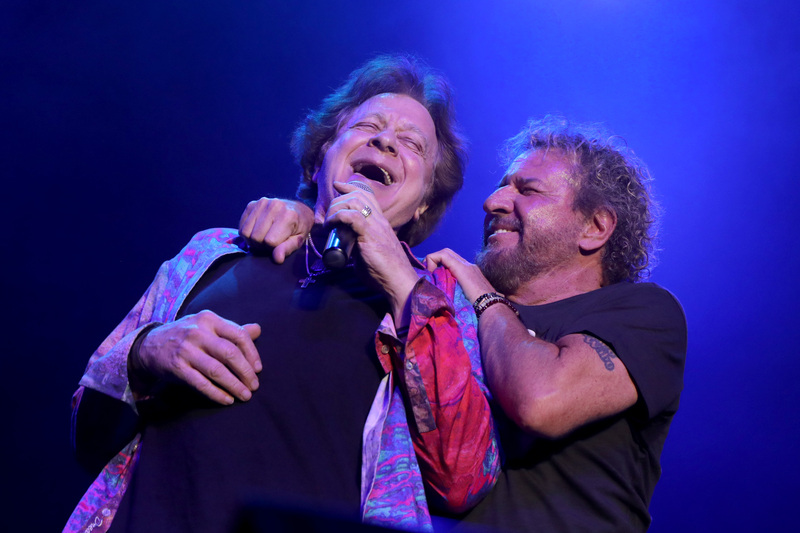 The new act, nicknamed “Van Hagar” or “Sam Halen” by many, released four multi-platinum studio albums before splitting company in the mid-’90s. (There was a somewhat brief reunion a decade later). 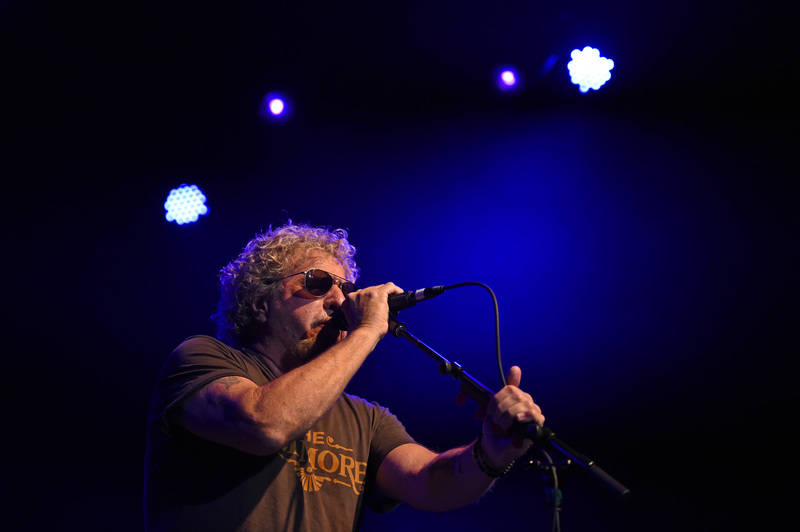 Since then, Hagar has led a number of other acts, including the Waboritas, Planet Us, Chickenfoot and, most recently, the Circle, a new supergroup featuring former Van Halen bassist Michael Anthony, Waboritas guitarist Vic Johnson and drummer Jason Bonham. He also hit No. 1 on the New York Times Best Seller List with the autobiography “Red: My Uncensored Life In Rock” in 2011 and created a tequila empire with his Cabo Wabo brand. After selling Cabo Wabo, for a reported $80 million, he’d switch spirits and start pedaling Sammy’s Beach Bar Rum. 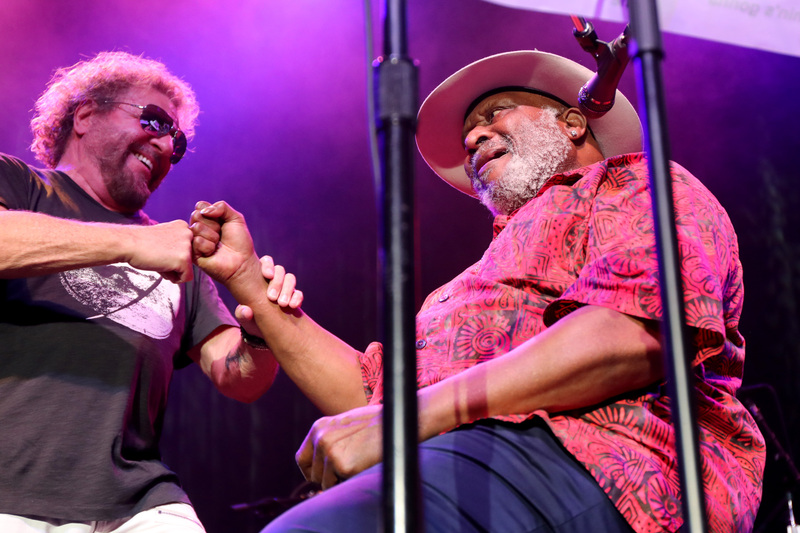 He’s also heavily involved in charity work and created the Hagar Family Foundation with his wife Kari in 2008. 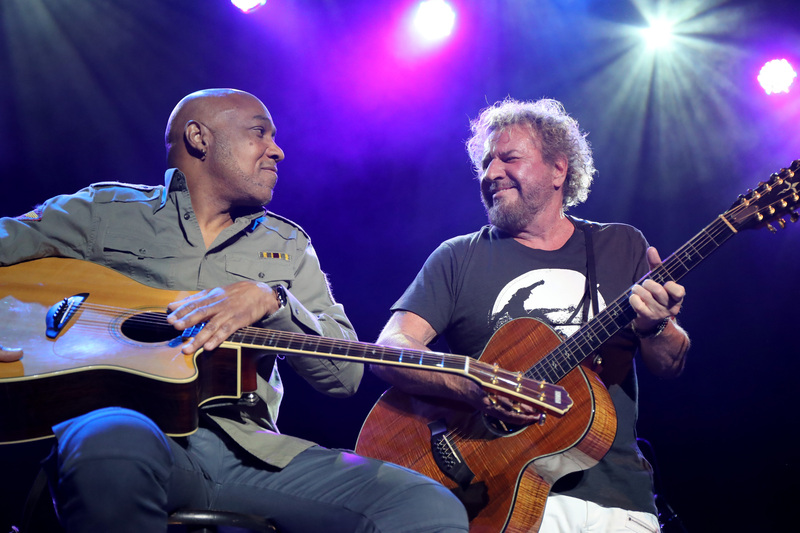 He also is organizer and host of the annual Acoustic-4-A-Cure concert, which benefits the Pediatric Cancer Program at UCSF Benioff Children’s Hospital. We recently spoke with the Mill Valley resident — who is nicknamed “the Red Rocker” — at his studio in San Rafael. Q: Hey, Sammy. Thanks for taking the time to meet with me. 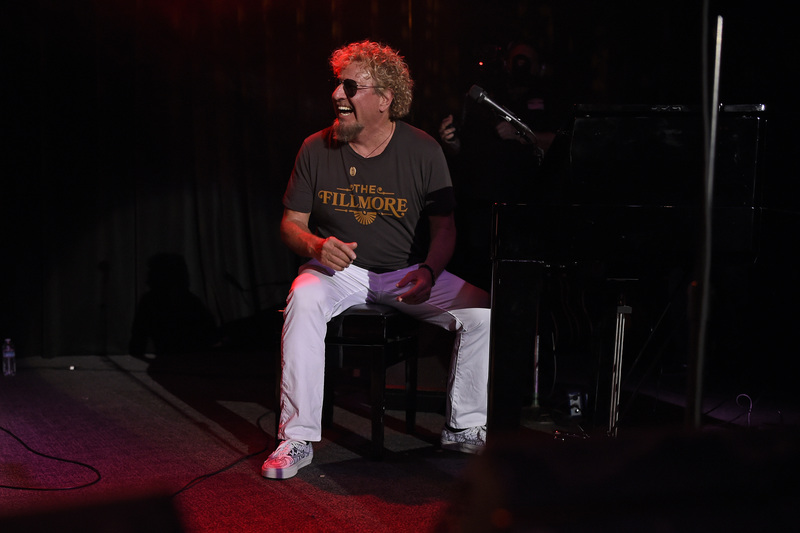 I hope you noticed that I wore my red shoes in honor of interviewing the Red Rocker. Q: Yeah, but it doesn’t get much more red than these shoes. A: It’s so weird. I’ve got all this red (expletive) throughout my life. I’ve got 50 red pants and 50 red T-shirts. Every time I go to get dressed up, I look at my red stuff and go, “Nah. 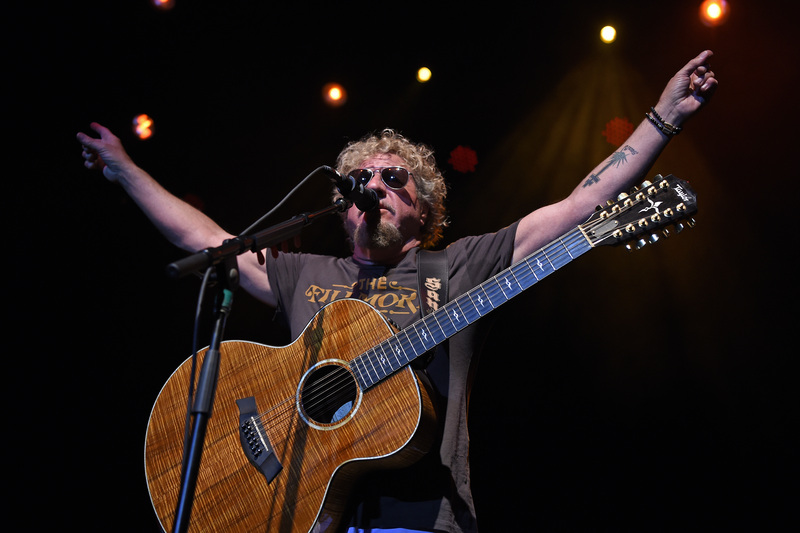 It’s too obvious.” I am the Red Rocker. 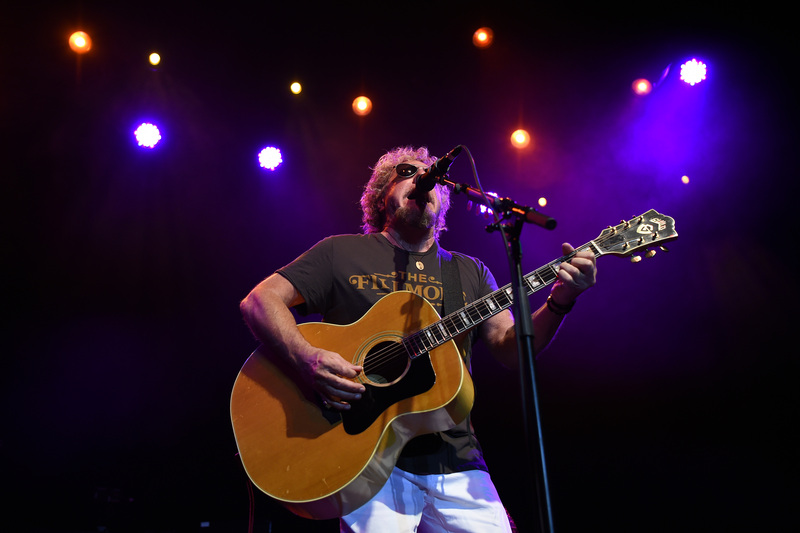 I don’t have to try to be the Red Rocker. I can’t even put red on without going, “Nah. It’s too pretentious,” and taking it back off. If you see me wearing something red, it was by accident. Q: But you used to wear it all the time back in the ’80s, like on your album covers. A: I was into it, because of the energy of red. Red has just got energy. You can line a wall up with people dressed up in all different colors and the person in red is the one that is going stand out. I use to wear it to stand out. Because when you’re an opening act, you don’t get good lights. So, I would dress in red from head to toe, with a red guitar, and they’d hit me with one spotlight. And I was hitting the back of the arena. Q: I just have to say that this is a really nice studio. Back when you were first starting out in the business, did you ever in your wildest dreams think you’d have something like this? A: No, I have to be honest. I didn’t dream of hardly any of this. I had a dream that I wanted to be a rockstar — a rich and famous rockstar. In Montrose, honestly, I felt I had accomplished that. I wasn’t rich by any means, but I was getting famous. And I was doing what I thought I planned on being. I didn’t plan on being any richer than that. I wanted to be. But I didn’t think, “Yeah, man, I am going to go farther than this.” I mean, I wanted to and I tried to — and I did. But it wasn’t planned. It wasn’t dreamt. So, it’s all pretty surprising to me, I’ve got to say. Q: You strike me as a man who is always moving forward. But I wonder if you ever take the time to go back and listen to your old records? It’s so weird. It’s not like I don’t care. I just don’t have time to sit and take inventory. It’s like you said, I’m moving forward and I’ve got my nose to the grindstone. My sleeves are rolled up at all times. I am in 100 percent work mode from the second I wake up until I fall asleep. And I’m happy to do that. Q: You certainly seem happy with your work. A: That’s what I love doing. It’s like somebody said, “What do you do?” I (expletive) work — at anything. I don’t care what it is. I am thinking about it 24/7. My mind never shuts down. It’s a torture sometimes because I will be sitting in these places where I live — Hawaii or Cabo — and I’m sitting there thinking about what I’ve got to and what I want to do and what my next project is. Q: Speaking of your next project, I know that you’ve been working on a new record with the Circle. What can you tell me about it? A: I don’t have a name for it. Right now, I am calling it “Hey Hey Hey.” Because I say that in two songs — the first song and the last song. It’s about the world monetary system. It’s about crooks and it’s about good people and it’s about the Devil and it’s about God. It ends up it’s about greed. Greed makes people do weird stuff — it makes you hurt other people, take advantage of someone, it makes a war. It almost all has to do with greed. Everyone thinks, “Hmm, money is the root of all evil.” But, really, without greed, money is a beautiful thing — you can change the world, you can buy happiness, you can heal the sick, feed the poor, you can stop a war. Q: You said that you don’t spend much time looking back. But do you ever think about all the great talents you’ve gotten to work with over the years? Every now and then, I think about the experience that brought me where I am as I am trying to create something new. Sometimes, I will go back and think of Eddie (Van Halen) and the way we wrote a song. 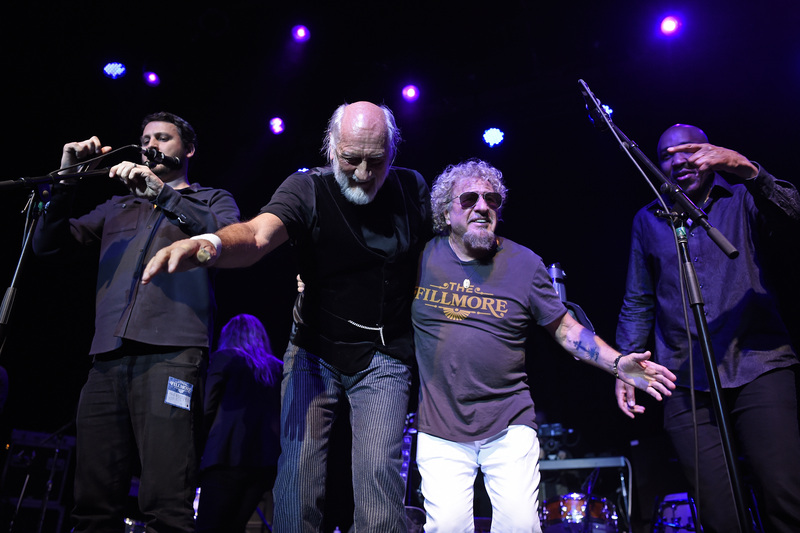 I will think, “Oh, I remember how we wrote that song — Eddie came up with that thing.” And then I get a vision that helps me write something. I will take the experience that I learned from Eddie. I will take the experience I learned from Joe Satriani — the most prolific guy I’ve ever wrote with. A: We could walk right in there right now and, if I could write lyrics fast enough, we could write a record, because he’d have the music in 20 minutes. It just pours out of him — original stuff, not rip-off (expletive). He’s the most fluid guy I’ve ever worked with. Then I think about Ronnie — how we wrote. I do think about that. I think about how good these guys are. I’ve been really lucky to play with guys like that. 1. 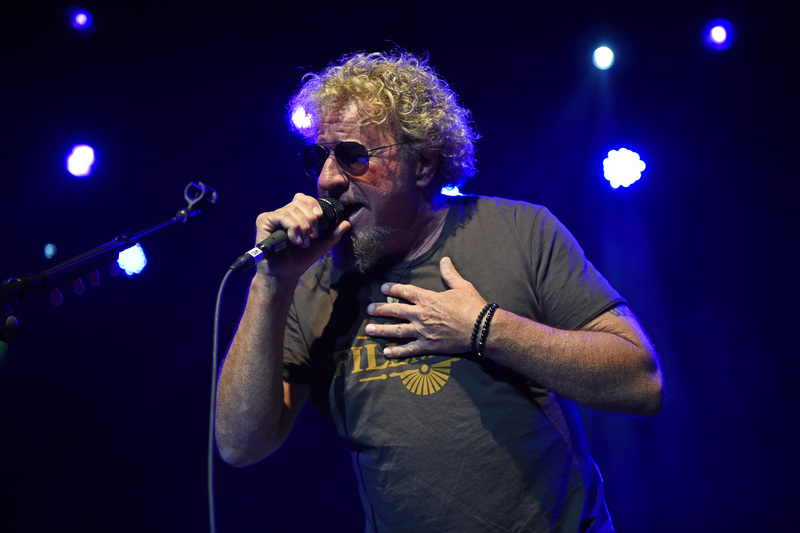 The Hagar Family Foundation, the nonprofit that the rock star and his wife Kari Hagar started in 2008, supports local food banks in every city he performs in. 2. 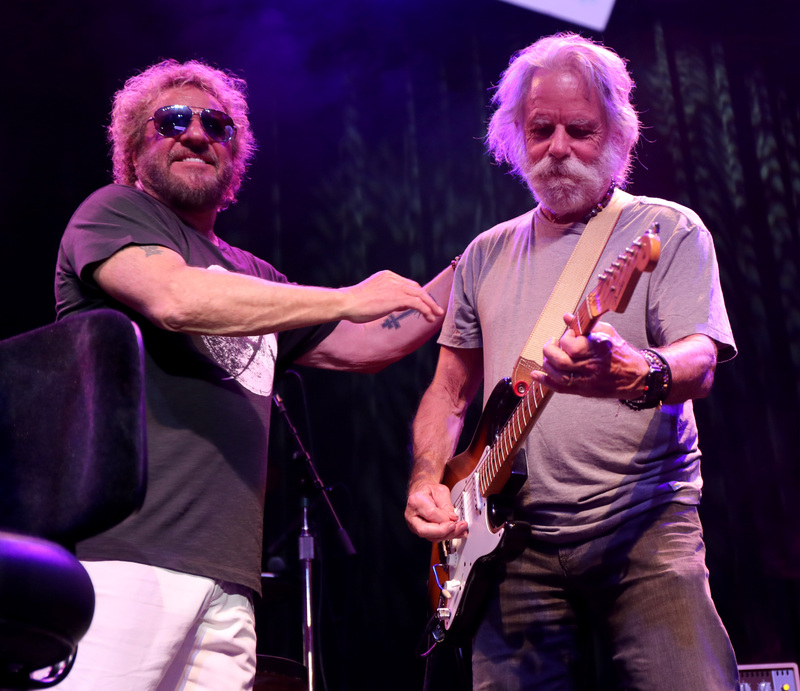 Hagar has houses in Maui, Cabo San Lucas and Mill Valley. 3. He’s a member of the Rock and Roll Hall of Fame, having been inducted as part of Van Halen in 2007. 5. 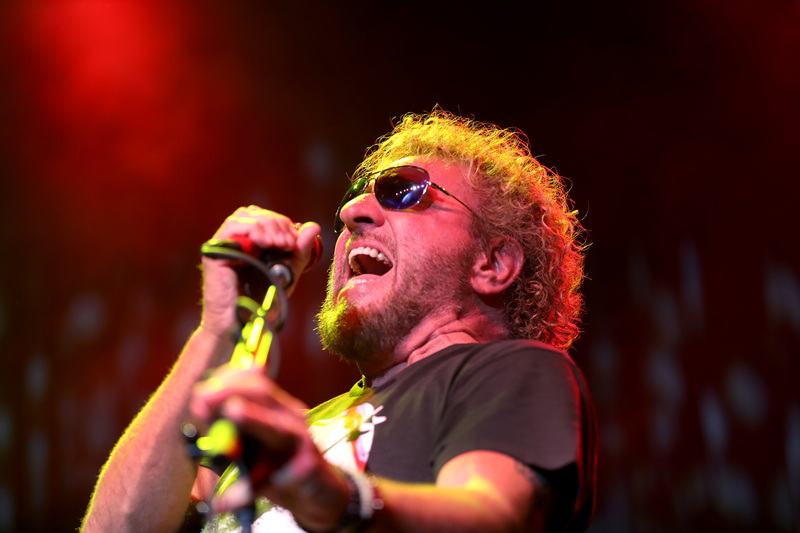 The rocker hosts the two-hour weekly radio show “Sammy Hagar’s Top Rock Countdown,” which is syndicated across some 90 stations nationwide.